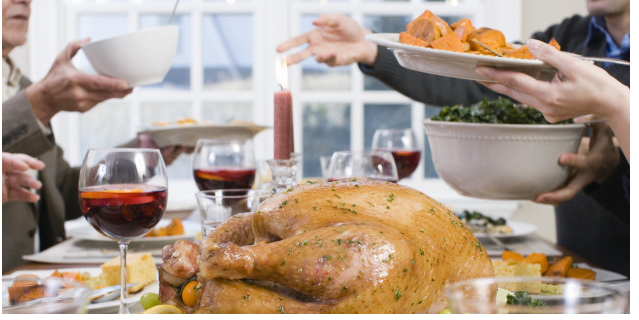 Bonni Brodnick Blog : Huffington Post: "Thanksgiving Turkey: Let's Get Fresh"
I'm starting to get flashbacks from a Thanksgiving past when all hell broke loose and someone even ended up in the hospital. Lesson learned: Don't eat giblets and laugh at the same time. I’ll never cook turkey again. It’s too stressful having one food that is the focal point of one meal. At the Thanksgiving dinner table, all eyes are on the bird and my once-per-annum self-induced culinary panic circles around whether my turkey will be judged as succulent or dry, well-glazed or burnt. Would I have calculated correctly the number of guests vs. appetite vs. leftover ratio? “Respect me and I will respect you,” I said as I gaped at the turkey through the oven door window. “How long will it take?” my husband asked as he entered the kitchen from reading by the fire. “A few hours,” I suddenly remembered that I hadn’t put the turkey on the roasting rack. I tried to cover up and casually opened the oven door. “Great! We’re all set!!! !” I added a few extra exclamation points to cover-up my mounting anxiety. “Mom, you should close the oven. Every time you open it, it loses heat,” called my 20-something daughter from the living room. That’s when we lost another half-hour from the cooking time. The oven temperature dipped to a chilling 315. “How’s that turkey coming along?” someone called from the living room as I prayed even more heat hadn’t escaped from the oven. “How’s it going? Do you have the bird in the oven yet?” she asked. It was then that I remembered that I also hadn’t wrapped the bird in cheese cloth, a technique she had taught me to help keep the turkey moist. “There’s too much attention on this one single thing,” I whispered. I was certain my green beans almondine would not be judged in the same way as my turkey. I had planned for a 4 o’clock sitting. By this time though, the turkey was barely cooked. Its white pallor mocked me. “It’s not quite ready. I promise it will be though,” I said. “Well, did you test the temperature in the oven?” My son was back. “See? It’s almost done,” I said. I grabbed my glasses and watched the dial soar from “sparkling wine” to “dry white.” It blew past “Beaujolais,” “Chianti,” “port” and “good red.” Truth be told: I broke the wine thermometer using it as a turkey thermometer. “Let’s just not look at the turkey for a few hours,” I begged my son as I slammed the oven door for the fifth time. The timer finally popped up. “Dinnertime!” was announced and I proudly placed the perfectly cooked turkey on the holiday table. The bird glowed and I enjoyed the ooohs and aaaahs. We all held hands and shared what we were all most thankful for. And #2: Once again, through the drama of it all, there’s nothing like family and taking a moment to pause to count our many blessings. I felt deep gratitude knowing that I overcame my annual poultry phobia and had cooked my last turkey... until next Thanksgiving. Thanks for such a great compliment, Su. 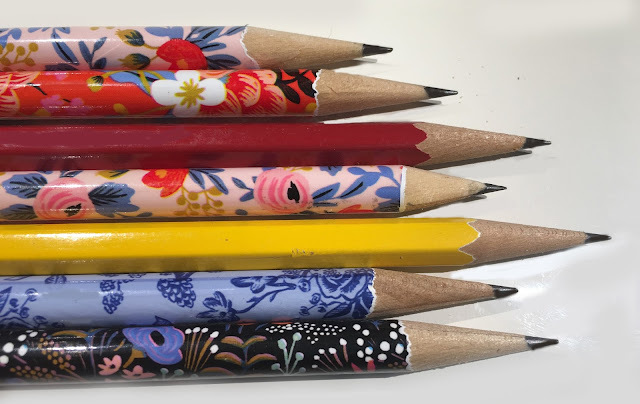 You might also enjoy my post on MEDIUM, "My New Pencil Sharpener: What a Tool!" Hope this finds you well!